A.J.S. - Model ? ID ? 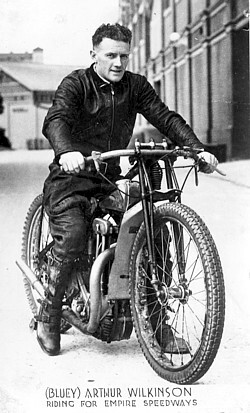 Aub Lawson - 10 times World Solo Championship Finalist. 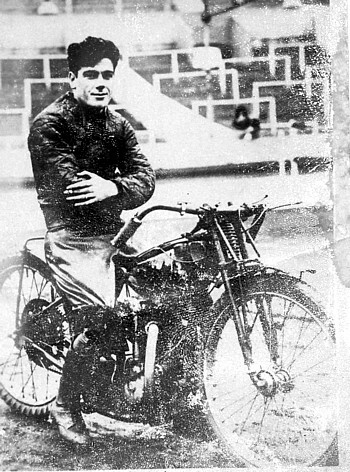 Ken Le Breton - known as 'The White Ghost"
Ken lost his life at the Sydney Sports Ground Speedway in a test match accident on 5th January 1951. 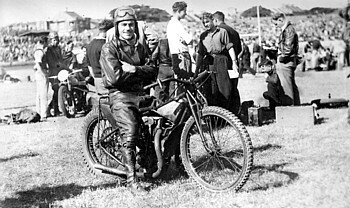 Jim McLeod in New Zealand - on a grass track Douglas. 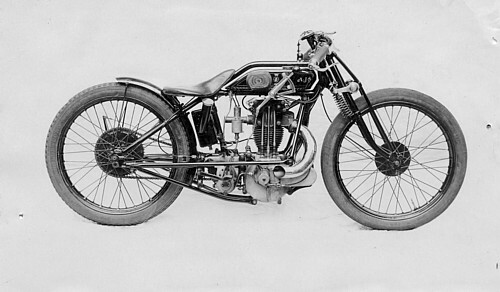 circa 1935. 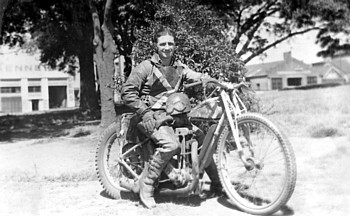 Jim came to Australia to ride with the American Putt Mossman troupe in 1936, stayed on and was contracted to Empire Speedways. 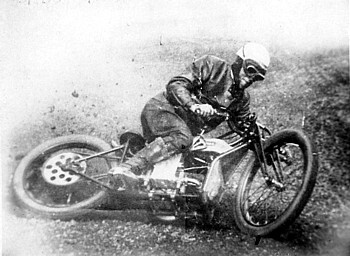 Len Reeve - on a Douglas at Wembley .U.K. 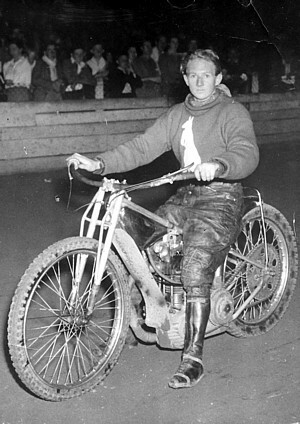 Aussie Colin Stewart from Geelong in Victoria. 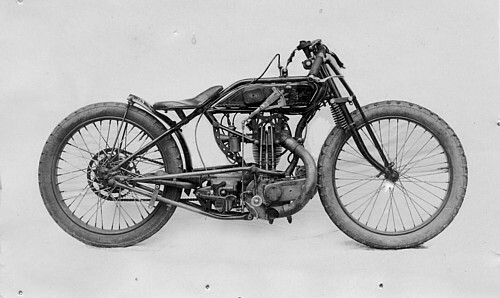 Colin rode from1926 to 1930 and also rode in the U.K.
Graham Warren at Cumberland Oval - Parramatta - NSW. Graham was placed 3rd. 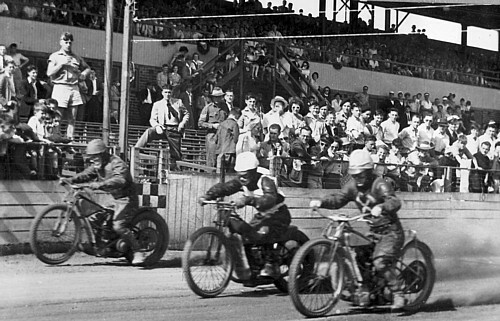 in the World Solo Championship at Wembley in 1950. 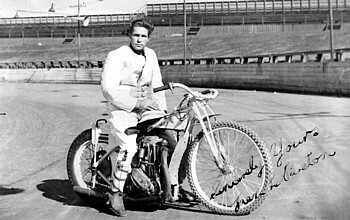 Vic Duggan at the Sydney Sports Ground. 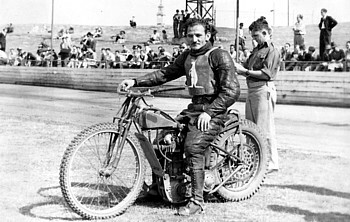 Vic, an Aussie Speedway legend won the equivalent of the World title( The Sunday Dispatch Championship) in 1948 in front of a crowd of 80,000 fans. 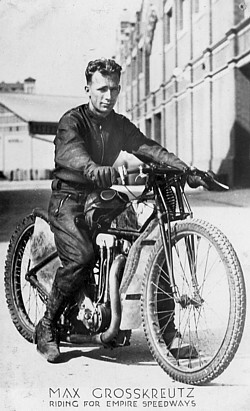 Lionel Van Praag at the Sydney Sports Ground. 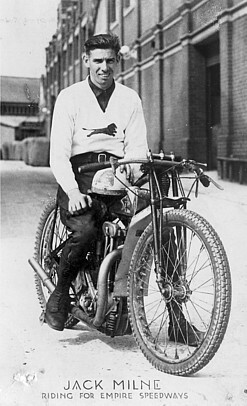 Stan Catlett on a Douglas. 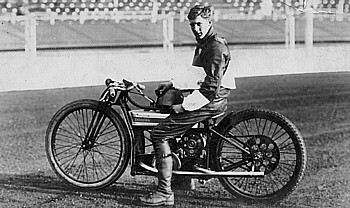 Stan rode Reserve for Australia in the 2nd. ever test match between England and Australia in 1930 at Manchester in the UK. 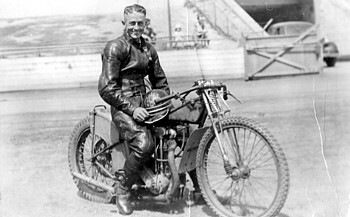 Cec Garland - Frank Dolan. 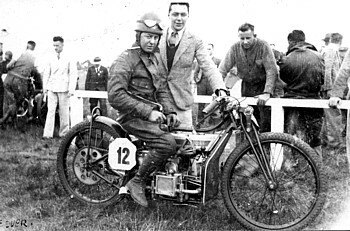 A very early photo of 1936 World solo Champion, Lionel Van Praag. 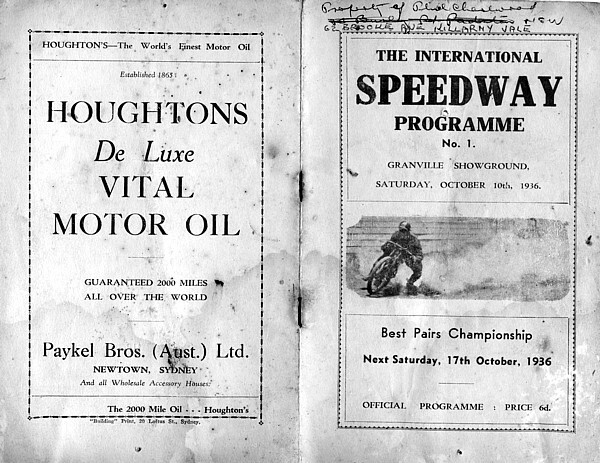 A 1933 Royale programme advertising the coming World Solo Championship in 1933 !! 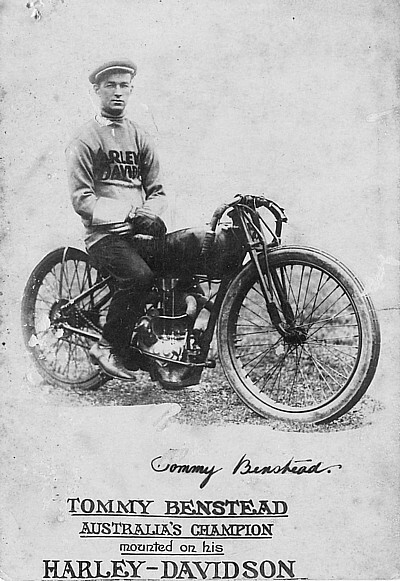 Which was run the following week in Sydney and won by Englishman Harry Whitfield. 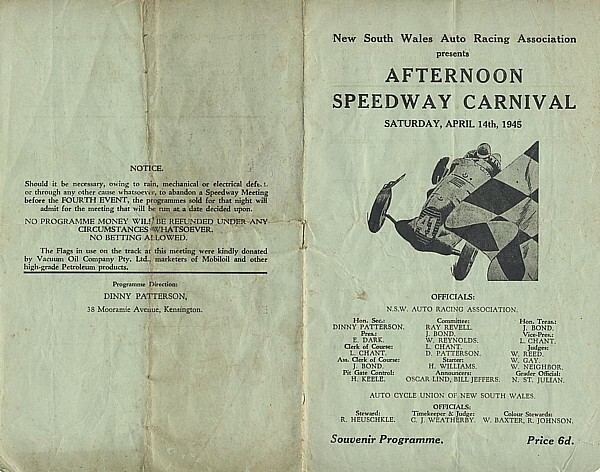 1945 - The Sydney Sports Ground Speedway. 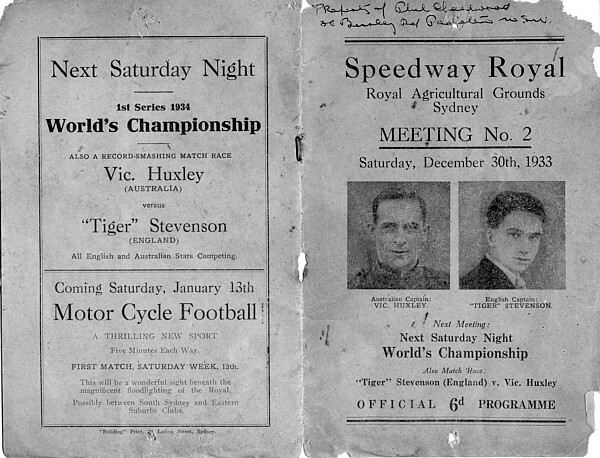 Jan Grainger, a huge fan of motorcycling and Speedway for many years , herself a Pit Marshall at Australian Speedway meetings, has sent some of her Dad's photos and memorabilia along for us to enjoy. 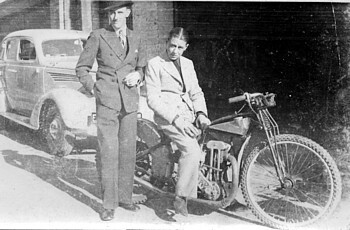 Phil Charlwood attended his first Speedway meeting at the age of 11 in 1928 and was a founding member of the Fairfield (NSW) MCC in 1934. 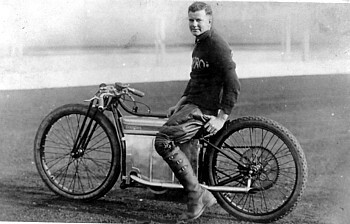 Phil went on to be a works rider for the Sydney motorcycle firm of P & R Williams in trials, scrambles and short circuit on A.J.S but never rode Speedway. Thanks Jan for these great memories.